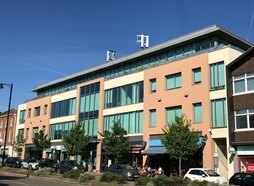 Welcome to Cattaneo Commercial, specialists in matching businesses to office space in Esher, Surrey and beyond. 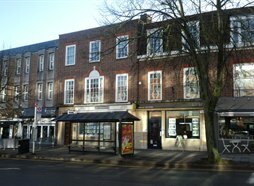 Buying, or selling, renting or letting, office space in Esher? Our team of commercial property specialists are ready to help you with whatever property management decision or dilemma you might have. Whether you are looking to acquire office space, find a tenant, or need advice on property redevelopment, Cattaneo Commercial has the property management expertise you need. We can provide support and advice on acquisitions and disposal, so whichever side of the deal you’re sitting on, Cattaneo can be there alongside you. 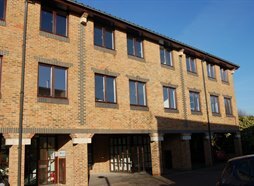 Our base in Kingston-upon-Thames means we have extensive local knowledge about office space in the Surrey area. Whenever a commercial space is ripe for redevelopment, or ready to be let out, we will be among the first to know, and in prime position to act on behalf of our clients. Our experience managing deals for office space in Esher enables us to make accurate purchase and rent valuations, and negotiate the best deals for our clients. 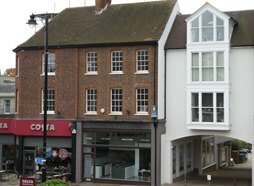 When you need an office space in Esher, Surrey, we will have the local knowledge needed to match your business to the most suitable available property. Why Choose Esher For Office Space? Esher office space is a hot commodity, owing to the town’s excellent links to London, with London Waterloo station less than 30 minutes away. Choosing to base your business in Esher, enables you to keep property costs down, while still having easy access to the City when needed. Besides the excellent rail links, the town is easily reached by road, being just a few minutes from junction 10 on the M25. This prime location makes it easy for clients to reach you, and simplifies your employees’ daily commute. The town has a rich history, reflected in the town’s architecture. If you would like a business space with character, we can locate office space in Esher’s historic buildings, many of which have been converted for commercial use. On the other hand, if you prefer a more modern appearance, or lower-maintenance space, there are plenty of new office buildings to choose from. Clients visiting your office, or your employees, will appreciate the town’s collection of shops, cafes and restaurants. They can also enjoy the beautiful open spaces at Claremont Landscape Garden, and Esher Commons, a site of special scientific interest. For client entertainment, head to Sandown Park racecourse which is open all year round, hosting exhibitions and events in addition to the races. Before we can act on your behalf, we spend time getting to know you and understand your business. We want to know what’s driving your office move, or property purchase, what your property requirements are, and how you would like to prioritise those. Do you want a bright, vibrant, modern space, or a cosy, characterful environment? Once we’ve agreed the factors that are important to you, we can support you in your hunt for the perfect office space in Esher for your business. Whatever your commercial property requirements, call the Cattaneo Commercial team today.